The Tenerife born artist Marta Solis will be presenting her latest album this evening at 8.30pm. 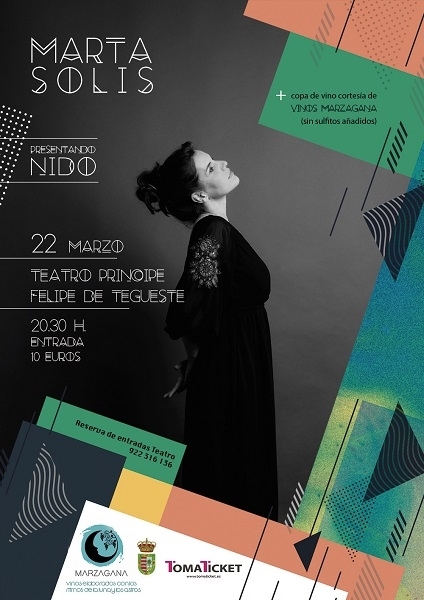 Her concert will take place at the Teatro Príncipe Felipe in Tegueste. The name of the new album is Nido, and the songs revolve around life, humanity and emotions. Marta Solis is characterised by her extraordinary voice. The album has already been nominated for the Canarian Music Prize in the Design category.